Definition: The equations needed in order to calculate the dimensions, flexibility, or strength of a helical spring design. Helical spring design equations are the key to finding out if a spring will function the way you expect them to in your device or mechanism. These helical spring design equations will help you calculate your helical spring’s physical dimensions as well as the force and travel your spring will eject once it is in function. 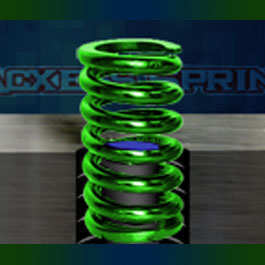 There are many basic helical spring design equations to calculate your spring’s physical dimensions. 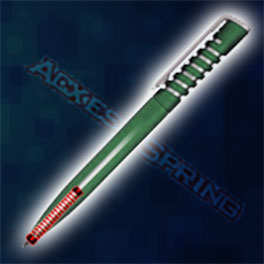 You will use this to make sure that your spring will fit properly in your mechanism. These helical spring design equations are the ones provided below. If your spring is going inside a hole, you want to make sure that the outer diameter of your helical spring isn’t going to be too tight around the inside walls of the hole or even too big to fit in the hole. The equation to calculate this helical spring dimension is to multiply the wire diameter by two and add the product to the inner diameter as shown below. If your spring is going inside a hole please use this "Spring Hole Clearance Guide" as a reference. If your spring is going over a shaft or mandrel, you want to make sure that the inner diameter of your helical spring isn’t going to be too tight around the outer walls of the mandrel or shaft or even too small to fit over the shaft. The equation to calculate this helical spring dimension is to multiply the wire diameter by two and subtract it from the outer diameter as shown below. If your spring is going over a shaft please use this "Spring Shaft Clearance Guide" as a reference. The previously provided helical spring design equations will help you determine if it will work when being installed. The following helical spring equations will help you calculate your spring’s working loads as well as rate. Follow these simple formulas to measure the strength and possible travel of your helical spring design.